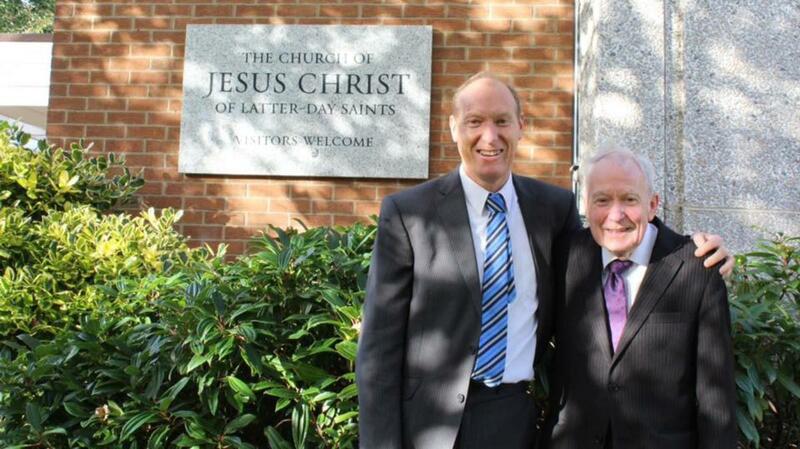 The Edinburgh Chapel of The Church of Jesus Christ of Latter-day Saints celebrated the 50th anniversary of its dedication on November 10th 2017. To mark the occasion, BishopTyler Haws and his congregation hosted an evening of entertainment, history and food. Many of the Latter-day Saints living in Edinburgh in the 1960s were involved in the building work in some way, and travelled from far and wide to join the Church members in Edinburgh in celebrating this milestone. The Edinburgh Ward has used the building since 1966, but it was completed and dedicated as a chapel in 1967. Prior to having the chapel to meet in, the ward met in various locations in the city. Leith Theatre was one of the venues used for larger conferences, and around one hundred members of the Church recently volunteered their time in helping with its renovation in preparation for the Hidden Doors festival. Peter Thompson was the first person to be baptised in the new chapel's font on 20th February 1966, and remembers the excitement of having a purpose-built chapel in Edinburgh. The first LDS baptisms to occur in Edinburgh were on 2nd February 1840, when two young men from Leith were baptised, having accepted the gospel preached by the first Church missionaries to arrive in Scotland at the end of December 1839. 23 new converts had been baptised in Edinburgh by the end of that summer. The following decades saw thousands of baptisms throughout Scotland, though membership in Scotland remained fairly low due to many converts choosing to emigrate to join the body of the Church in Utah, USA. It would not be until the 1960s that numbers here would increase, and there would be a need for a church to be built in Edinburgh. Self Reliance classes, scripture study classes for teens and young adults, and the weekly youth club.